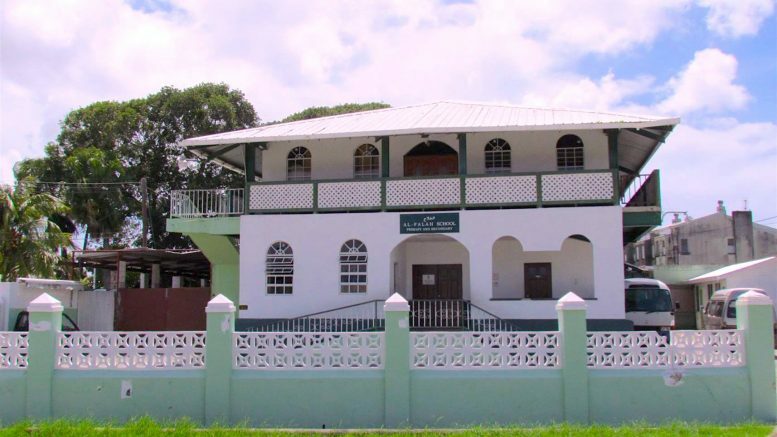 At a time when well worn values and morality appear to be falling into a morass of degenerating standards, the Muslim community in Barbados has sought to insulate its children in an educational institution that is bearing fruit. Thus began Al-Falah, originally in George Street, now located on Passage Road, with a roll of 200 and 15 teachers, 12 full-time and three part-time. Among them are Muslim women who volunteer and retired teachers from Government’s primary and secondary schools. At Al-Falah there is a strict code of discipline, with behaviour, conduct, character and respect being the watchwords. What is considered misconduct? Disrespect shown to teachers, disregard for education itself – as Bhana remarks, “children will be children, but they have to know and respect elders, teachers, other staff, rules”. Al-Falah follows the regular curriculum set out by the Ministry of Education for Barbados’ schools, and students are instructed likewise. But there are differences in the way this school is organised. Boys and girls work together at primary and nursery stages, but as they reach the secondary stage, they are separated. The school is open to non-Muslims and there are some non-Muslim students. Vera Archer, a retired teacher with more than 30 years of service in the Government primary school system, finds the teaching job in a Muslim school “very challenging, a very pleasant experience with cooperative children and supportive parents”. Most of the Al-Falah children go to the mosque in the evening and they get their religious education there. However, during this summer vacation as many as 70 may be found engaged in Islamic studies from 7 a.m. to 9:30 a.m., learning the Koran, how to pray, how to socialise, how to fast, and general Islamic values. All girls at Al-Falah must wear the hijab (headdress worn by Muslim women), while a white topi (cap) is a must for the boys. “That’s part of our religion that we have to cover our head; ladies have to cover their whole body. They are allowed to expose or leave their hands and faces open. But that is also optional for them. Some cover it, some do not. We do not force that on the child, but covering the hair is a must,” Bhana said. A display board in the school’s hallway illustrates a number of careers, a subject which the principal discusses briefly with the Weekend Nation, pointing out that “a lot” of the upcoming generation of Muslims who were “born and bred in Barbados” no longer want to follow in the footsteps of “our forefathers”, plying the door to door sales trade. Instead many are opting for professions. “We actually recommend that if you have a profession, even if you have to do the trade afterwards . . . if you have to go anywhere else in the world, the profession, the skill is with you. This trade cannot take you anywhere else in the world . . . but at the ages of 16, 18, 20, see what you can achieve educationally, especially in our community where you have good education. Make full use of it,” Bhana said. 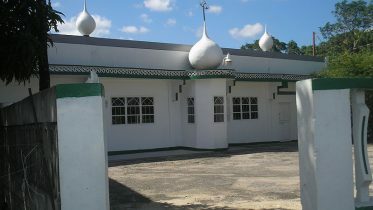 Be the first to comment on "Barbados Al-Falah Muslim School"